Tonight, we'll put on some Christmas music and heat up some hot chocolate while we put up our Christmas tree. It's only four days after Thanksgiving, and I already feel like I'm behind on Christmas. Anyone else feeling sucked into that guilt? Well, if the family Christmas cards don't get out this year, I will tell myself no one actually cares anyway. 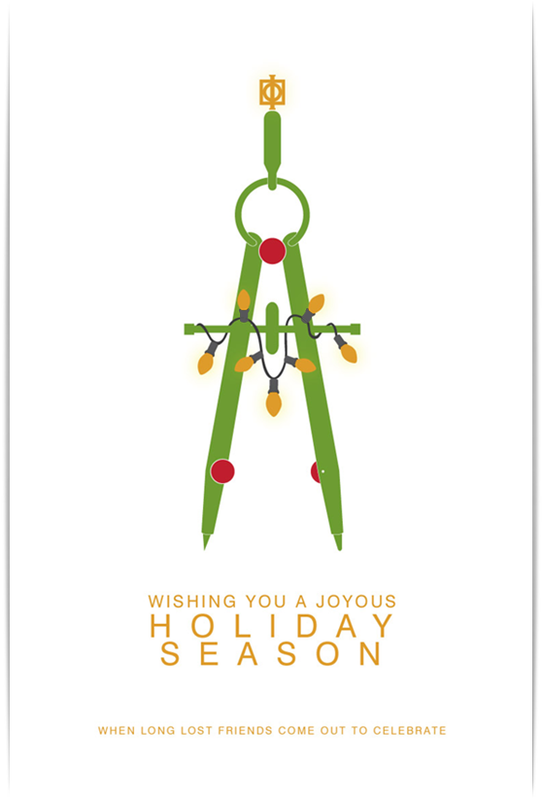 At least, I got the company Christmas card done this year - the architect's drawing compass, an old friend, used back in the pre-computer days repurposed as a Christmas tree.